the MomTog diaries: Happy 9th Birthday Hayden!! This weekend we were finally able to have Hayden's 9th birthday party, postponed from two weeks ago. I have a 9 YEAR OLD!! Still hard for me to believe those words! 9!! For the 3rd year in a row he requested a sleepover...oh my! You can just imagine what my house sounded and looked like on friday night! But he had a blast and that's all that matters! 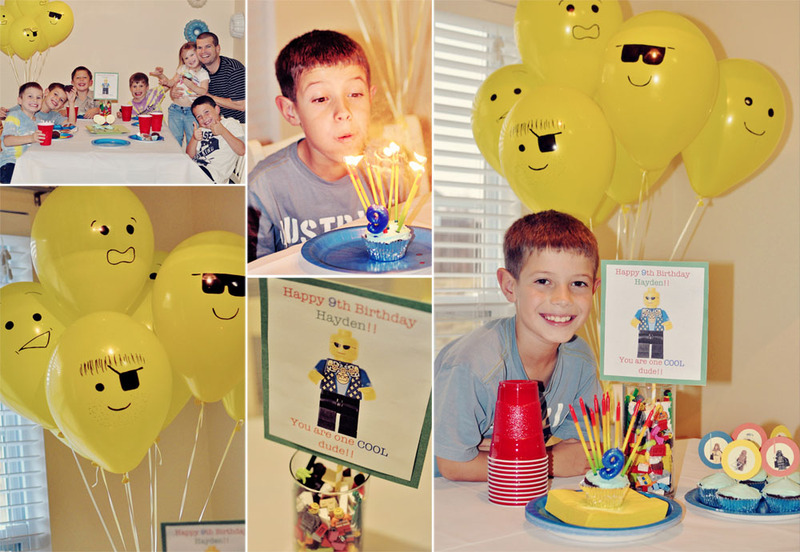 His party was lego themed...don't you just love the lego face balloons?! Such a cute and easy thing to do! Here's a few snaps from his special evening!